Happy New Year! (almost) Happy Birthday! 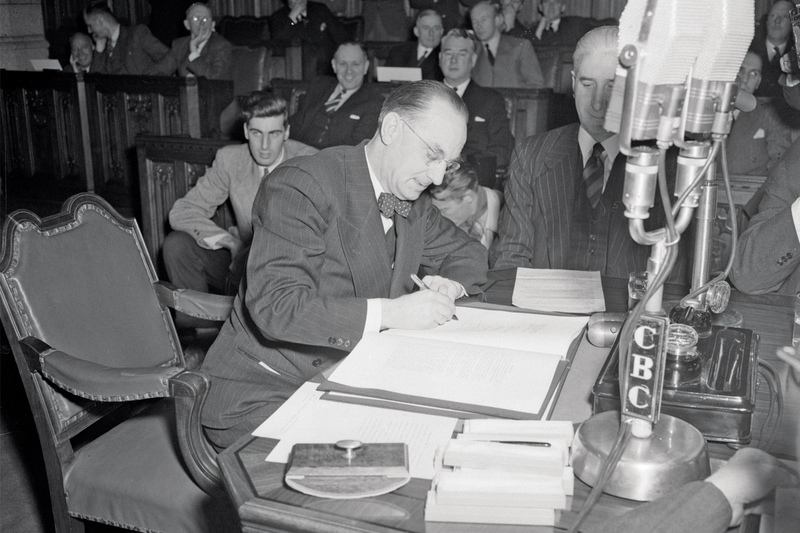 Joey Smallwood signs the agreement which admitted Newfoundland into Confederation. They were the last to join the party, and not everyone wanted to join. 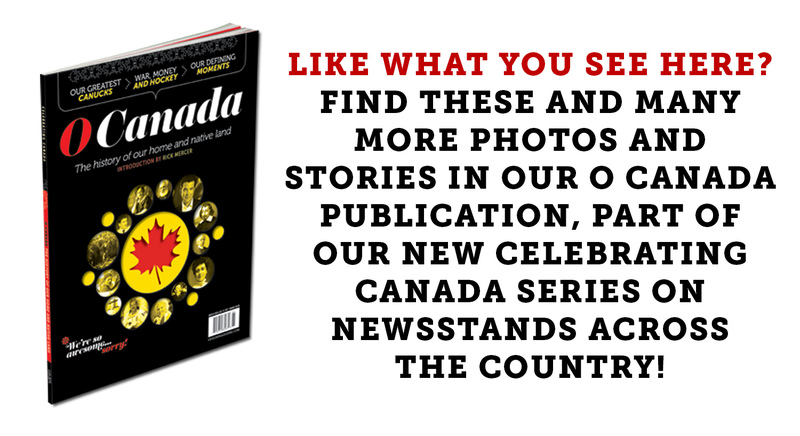 A narrow majority—52 per cent—voted to become the 10th province of Canada. 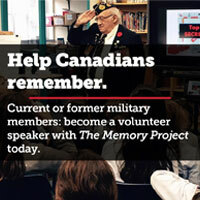 On April 1, Newfoundlanders woke up as Canadians and Joey Smallwood declared himself the last Father of Confederation. It was supposed to be so easy. But the Russians won the first game decisively 7-3, making an entire country nervous. We clawed our way back into the eight-game series and were locked in a nation-deflating tie until Paul Henderson scored with 34 seconds left in the final game, and the country celebrated as one. A sea of darkly-attired men huddled around Donald Smith’s Methuselah-like form as he swung that hammer. Among them was one boy who had squeezed through the dignitaries to get into the photograph. 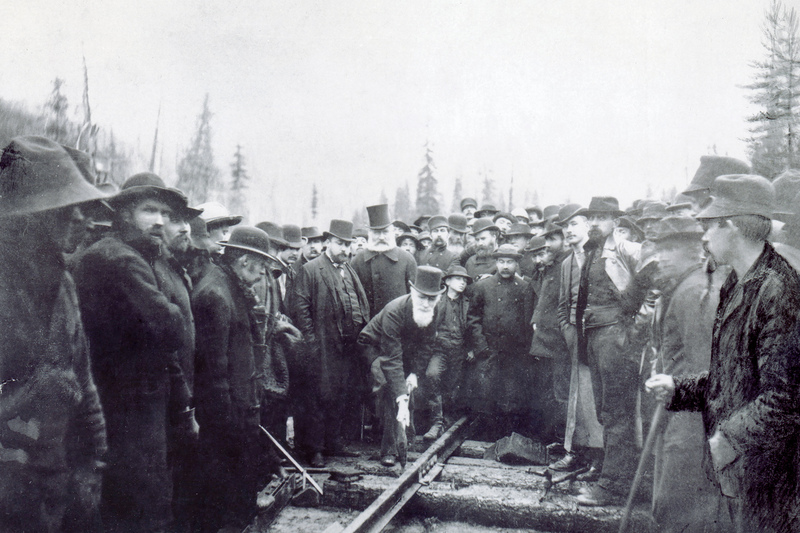 He was Edward Mallandaine, and he would become a part of history, and part of the enduring mythology of the railroad. 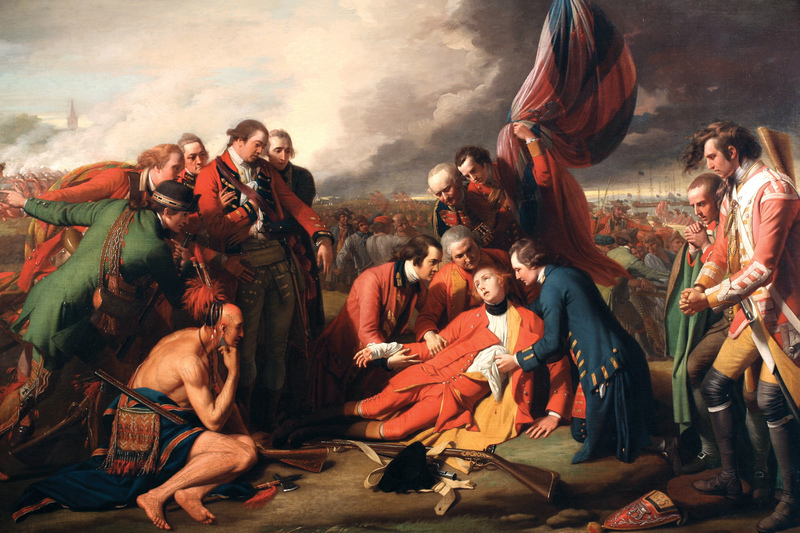 Benjamin West’s painting of the death of General Wolfe is well known. A key battle between the French and English in the Seven Years War. Both commanders—Louis-Joseph de Montcalm and James Wolfe—died from wounds suffered in battle, and both were commemorated by paintings. As the winning general, Wolfe got the more heroic portrait, though both were marred by inaccuracies. Montcalm is dying beside a palm tree, and Wolfe has a First Nations warrior staring at him contemplatively (the First Nations fought with the French). 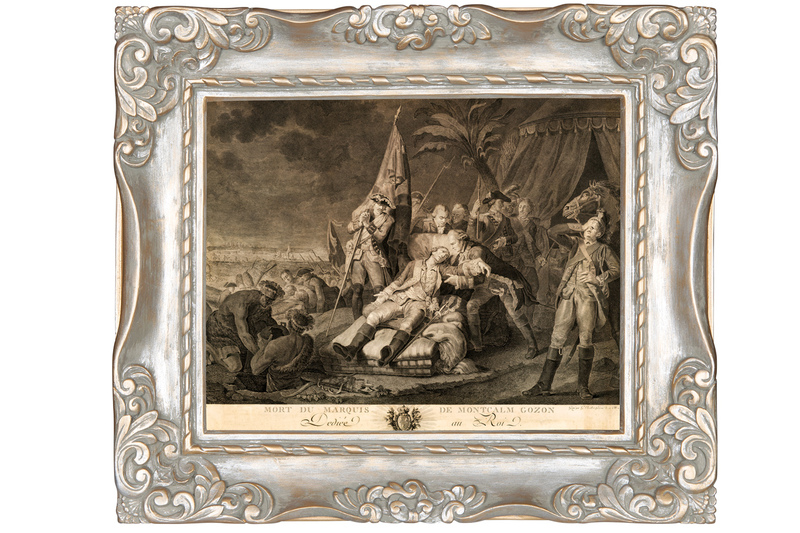 Francois-Louis-Joseph Vateau’s painting of the death of Montcalm is more obscure.